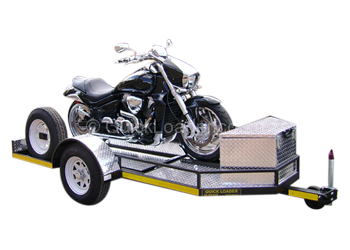 Trailrite Trailers | Quick Loader has sponsored a Bike Trailer that will be raffled out at the Beeld Show, held at Gallagher Convention centre. so come join in the fun and support a great cause! Headway Gauteng, started in 1995, is a registered welfare organisation dedicated to offering various support programmes to adult survivors of brain injury (BI) and their families. The vast majority of our injured members have sustained a traumatic brain injury (TBI) as a result of a motor vehicle accident, sporting accident or assault. We also assist survivors of acquired brain injuries such as stroke. These people have led a full life up until the brain injury, which has caused permanent changes to physical, cognitive, emotional and behavioural processes. Headway Gauteng presently has four branches in Hyde Park, Alexandra, Soweto and a recently opened branch in Tshwane. When funding permits, our aim is to have further satellite groups in other needy areas. All our funding initiatives are from private or corporate donations instigated from within our small organisation. A family support group consisting of hundreds of families from a diverse range of cultural and socio-economic backgrounds. Each family has someone dear to them living with a brain injury. Family Meetings are held monthly at Hyde Park, Tshwane, Alexandra and Soweto. One on one counselling/therapy and neuropsychological assessments. We also operate a telephone help line run by a team of volunteer counsellors/psychology students. In addition social service issues are dealt with where possible, or referred on to a social worker for further attention. Psychology and Social Work students at, WITS University, the Midrand Graduate Institute and the University of Johannesburg also use our facilities to do their practical training and internships. A holistic therapy/activity day programme which provides our injured members with a structured, productive day where stimulating and enjoyable activities and social skills can be practised. The programme is supervised by fully trained therapists, ably assisted by a team of volunteers from the community. We are registered with Wits Health Consortium for continuing professional development for our therapists. An income generation project has been introduced for our injured members at our Alexandra and Soweto branches.